Designed for local IPTV distribution networks on LAN’s and for OTT operators, BLANKOM IGS-800 is converting up to 128 channels from 8 satellite transponders into IPTV signals, at an unbeatable price. IP (128 SPTS) over UDP and RTP / RTSP output. Supports maximum 128 PID mapping per input. Remote control and firmware, web NMS management. 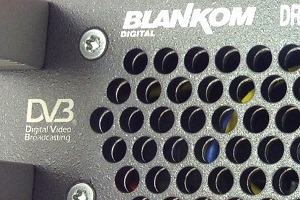 BLANKOM IGS-800 DVB/IP gateway has 128 SPTS IP capacity. Supports up to 128 PID mapping per input. It has 8 DVB-S/S2 tuners built inside, thus can receive 128 different programs from 8 different transponders/channels. BLANKOM IGS-800 is a DVB/IP Gateway, which has eight DVB-S/S2 tuners and de-multiplexing functions in one case to convert RF signals into TS output. It is in a 1U case which supports 8 tuner inputs. To meet customers various requirements, IGS-800 is designed to de-mux programs from any RF input. It is capable to generate 128x SPTS streams in UDP, RTP/RTSP. Converting the content of 8x fta satellite transponders into IP, for generating SPTS IPTV content. Function DVB / IP Gateway with 8x RF input, IP port.